Robin Doyle - Mediator & Arbitrator based in Naples, Florida. Please click your preferred available date to submit a request. Your Appointment Form will be sent to Robin's assistant, Kris Doyle. 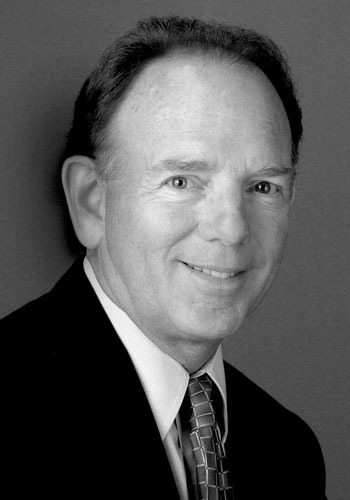 Robin began his career as a trial lawyer in 1975. He has successfully tried jury and non-jury cases and arbitrations in a wide range of significant and complex cases including matters relating to construction contracts and defects, lender liability, professional liability, partnership and shareholder disputes, real property litigation and criminal cases. He was certified as a Civil Trial Lawyer by the Florida Bar and by the National Board of Trial Advocacy for 15 years. For 12 years, he served as the head of the litigation section for the Florida offices of Quarles & Brady, LLP. When the Florida Supreme Court began a pilot project for mediation in the 1980s, Robin participated in mediations as an advocate. Since 2005, he has been a full-time neutral handling mediations and arbitrations throughout Florida. A graduate of Harvard Law School's advanced programs in mediation and negotiation, he applies his extensive experience to assist others in resolving disputes in both state and federal courts. Throughout his career, Robin has been active in community, church and professional organizations. He served as Chairman of the Economic Development Council and two terms as Chairman of the Collier County Airport Authority. In November 2006, Robin was invited to act as a facilitator for the Community Congress II 21st Century Town Hall Meetings in New Orleans organized by AmericaSpeaks to assist residents there to participate in the rebuilding of the city after Hurricane Katrina. Member Board of Overseers, Stetson University College of Law.